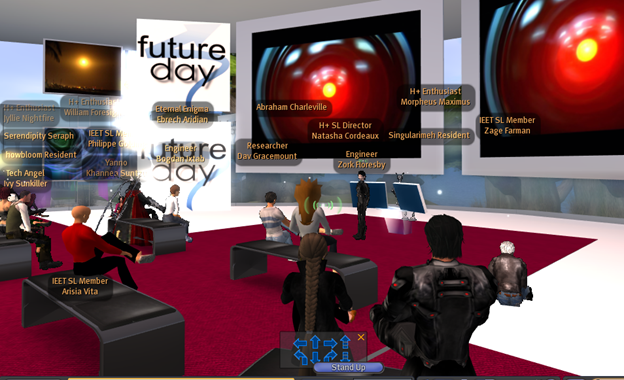 The first Future Day on March 1 featured events in 14 cities in 8 countries. 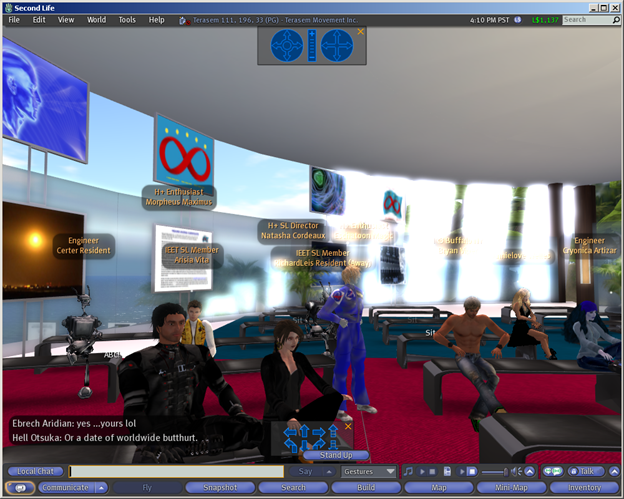 The largest event was at Terasem Island in Second Life, with about 50 attendees. The auditorium at Terasem Island was full and we were eagerly awaiting three of the speakers to arrive: Ben Goertzel, Martine Rothblatt, and Howard Bloom. I spoke about being bold in a world of caution. I said that there are plenty of naysayers — those who discount innovators for not being practical enough. Instead we need more innovators, not less. 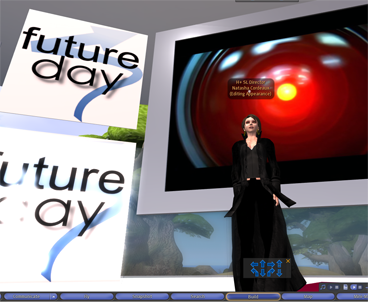 Martine’s talk (via text chat) suggested each person could bring Future Day into her/his life making commitments to working toward better cooperation, a broader outreach across the world, more compassion and giving. She also suggested projects that we could work on and the concept of a film came up. What a wonderful idea! We talked about many of Martine’s projects, include the “Bina48” robot head. We also talked briefly about the Alcor Life Extension Foundation and the backup technology of cryonics being timely. Giulio Prisco said the future is not fixed in stone, and that the positive Singularity that we want to see will only happen if we work to make it happen, which requires enthusiasm and positive thinking. He also proposed a film project, with positive visions of the future to stimulate enthusiasm and drive. We look forward to next year’s March 1 Future Day!